If you read my previous post you will know I was very busy in the kitchen with cooking the pumpkin and our cat - Pushkin was my helper. I made a soup out of the pumpkin later, here's the recipe, because it was really easy to do it. 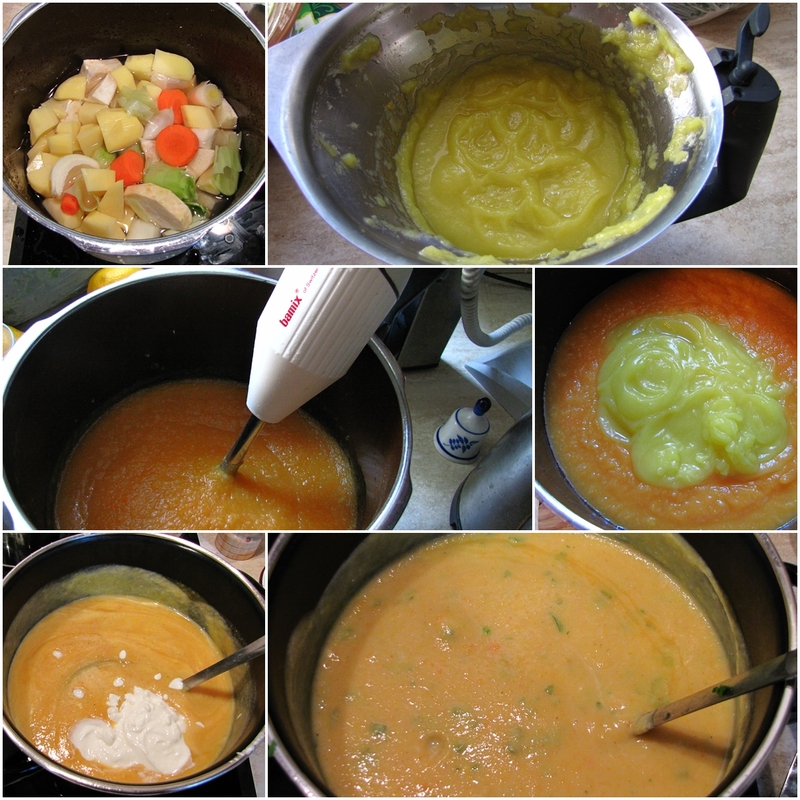 I cooked potatoes, celery, carrots, leek, parsley and an onion in the pressure cooker for a couple of minutes. I puréed it and added some salt, pepper, fresh parsley, and other herbs and the purée of the pumpkin I made earlier.